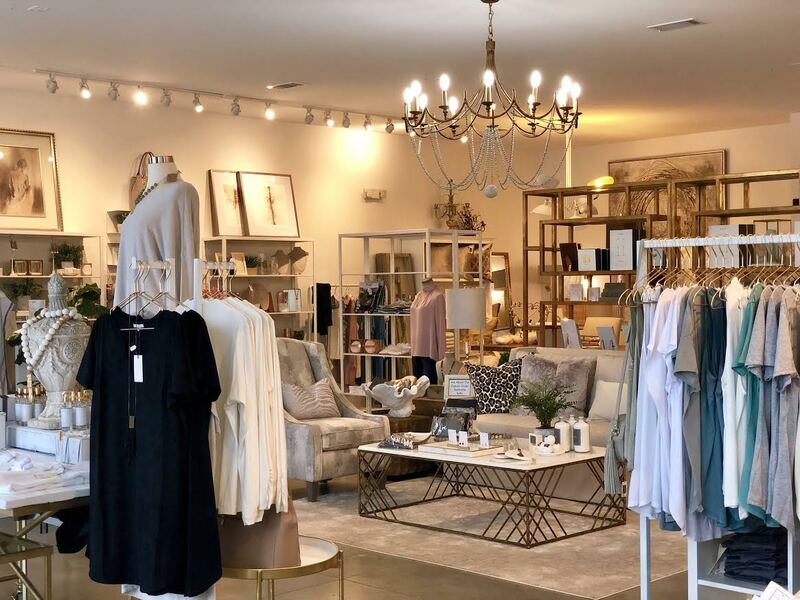 What was once a small passion project for a nurse upon her return to her hometown, Maison Greige has seen big changes in the years following its April 2015 opening. However, despite new locations and a recent rebranding, the store and its owner Lacie Herndon maintain the original goal of quality and customer service. We sat down with Herndon to learn more about the history, as well as the newest additions to Maison Greige. 1. What is a typical day like for you and your team? A typical day for our team begins with opening up and making sure everything is perfect and ready for our customers that day. We love to take new photos each morning and highlight new merchandise through social media so our customers can view our latest arrivals. My team of amazing girls is always thinking of new ways to connect with clients, and in retail each day is always new and unpredictable. 2. What is your professional background? How did you get into retail? Funny story–I’m actually a nurse. I graduated from Our Lady of the Lake College in 2007 and married my high school sweetheart the following year. It was great having a stable career to fall back on as we moved around the country while he was in the Navy. I never had trouble finding a travel nursing position, but once we moved back home I knew it wasn’t what I wanted to do for the rest of my life. I have always been craft and pretty independent. I would attend numerous craft fairs and shows and sell things that I made or repurposed. Meeting people and having them actually like and purchase something I made was always thrilling. I knew I was good at it, and I knew that if I ever had the opportunity, I could make it happen on a larger scale. 3. What is the history of Maison Greige? When did it open, and how has it grown or changed since then? I opened the doors to our original Maison Greige location in April 2015. I was nervous about if people would like my style or if anyone would actually come to shop. The people came, and luckily they continued to come. It was amazing! We quickly grew out of our first location and moved right down the street to a historic home in the heart of Zachary and filled each room with different, cute things. 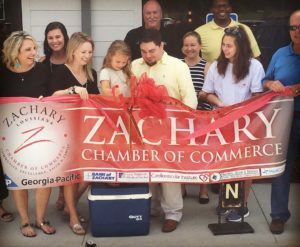 Then, late in 2017, we had the opportunity to build out a brand-new location next to the new CC’s Coffee House in a booming part of town. It was a great opportunity to be in a high-traffic area and to build something that would be functional for our needs. We have grown each step of the way and hope to stay here for years to come! 4. What are the first things customers see when they walk through your doors? There’s so much! The first thing that catches your eye is the calmness in the color scheme. There’s a grand chandelier and a giant comfy sofa right in the middle of the store. I wanted everything to be cohesive, bright and inviting from the moment you step inside. Our displays are white and gold and allow all of the merchandise to speak for itself. We’ve blended candles, jewelry and clothing together in one lovely story. It’s an easy, relaxing and fun shopping experience where you instantly feel welcome. 5. What sets your store apart? Hands down, our customer service. Time and time again, we have been told that our store is welcoming and inviting and that our staff is friendly and helpful. We are so proud of that! It is our goal to provide everyone with a great shopping experience to come back to over and over. 6. What is one thing you think customers should know about your store that they may not be aware of? We truly are a one-stop shop. On our last move, we rebranded as a lifestyle boutique. 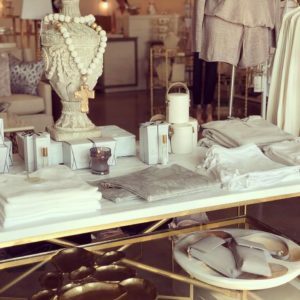 We offer home décor, furniture, lighting, linens, clothing, gifts and more. We also offer bridal and baby registries for those with weddings and little ones on the way. We even offer design consulting and home staging. If you don’t see it in the store, just ask. Usually, we can order anything you need. 7. How do you keep your merchandise fresh and up to date? We attend markets in Dallas and Atlanta several times each year. In between markets, we have a constant flow of representatives bringing us the most up-to-date trends and styles. We receive new merchandise at least several times each week, so our shelves are constantly filled and updated. 8. Can you share a hint about what we might see in your store next? More events and trunk shows! We’re working hard on a monthly Girl’s Night Out, so stay tuned. 9. What are some of your best-selling items? We do really well with clothing and jewelry. We never realized that bringing in clothing and accessories would be such a big hit here in town. People are loving our comfortable, neutral style. Barefoot Dreams is always a favorite for soft and luxurious loungewear, blankets and baby goods. 10. Can you tell us a little about your new location? Our new location is awesome! We are located right next to the new CC’s Coffee House near Copper Mill Golf Club. We are right in the middle of all the up-and-coming shops and neighborhoods and conveniently located right off of Old Scenic Highway. We are easy to find and easy to get to. Our suite is brand new, light, bright and welcoming. We couldn’t be happier with our new location and we can’t wait to spend many more seasons here. Follow along for new arrivals and event announcements on Maison Greige’s social media here and here. And shop online at its website here.